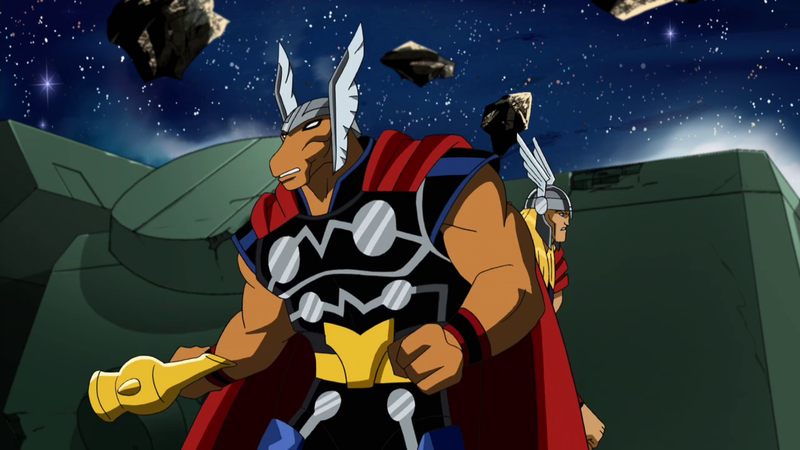 Over the years, Thor's power has been wielded by many - a Frog, a Space-horse-thing, Superman - but soon, the mantle will pass to a woman. In a preview of her first issue, it turns out that this mysterious new woman is so badass, her lifting of Thor's mighty hammer causes the weapon to literally rewrite its own creed. It's certainly a potent image, just what you want for your new character reveal, but at the same time... you'd think the Hammer would save itself a bit of time in the future and rewrite itself to say 'If they shall be worthy'. Turn itself into an equal-opportunity Nordic legendary weapon. 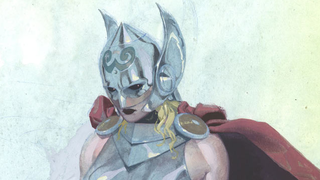 So this new lady, whoever she turns out to be, seems to be more than up to the task of being the God of Thunder. 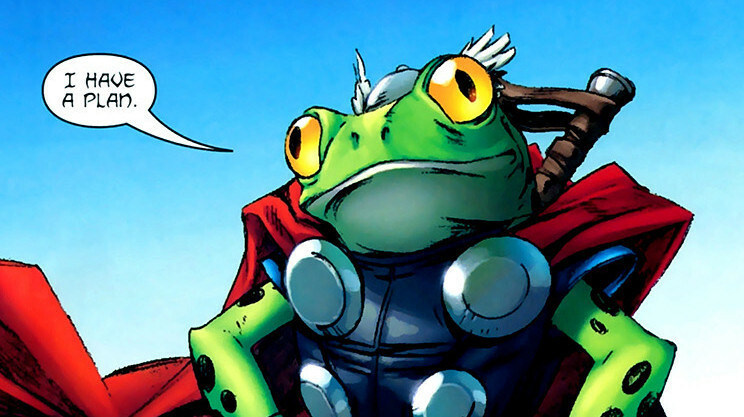 Thor #1 is due out October 1st.